There are many different types of roaches. The German cockroach is the most common to homes and businesses. The German cockroach is very successful at establishing themselves in buildings and homes, and is very hardy and resilient against attempts at pest control. This is because of the large number of nymphs produced from each egg case, the short period between birth and sexual maturity, and their ability to easily hide due to their small size. 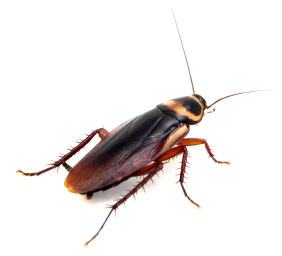 Roaches enter structures in many ways such as: groceries, used furniture, boxes, drain pipes etc.